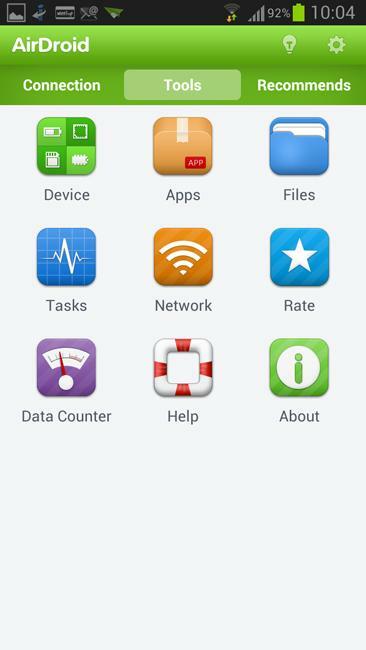 AirDroid is a brilliant little Android app that lets you wirelessly manage your phone or tablet from your desktop computer -- or any other device with a web browser. 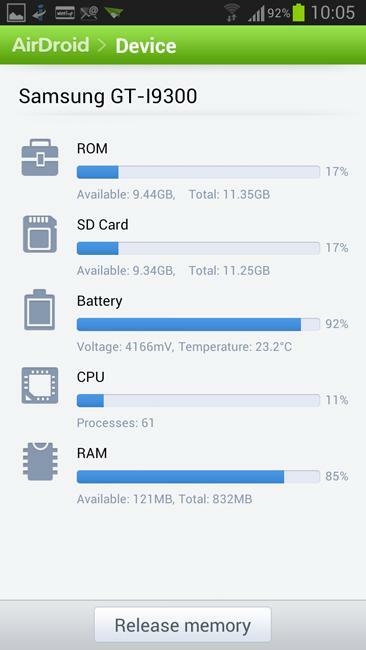 AirDroid is a brilliant little Android app that lets you wirelessly manage your phone or tablet from your desktop computer - or any other device with a web browser. Connection is simple. Start up AirDroid on your portable and it'll present you with a 6-digit passcode. 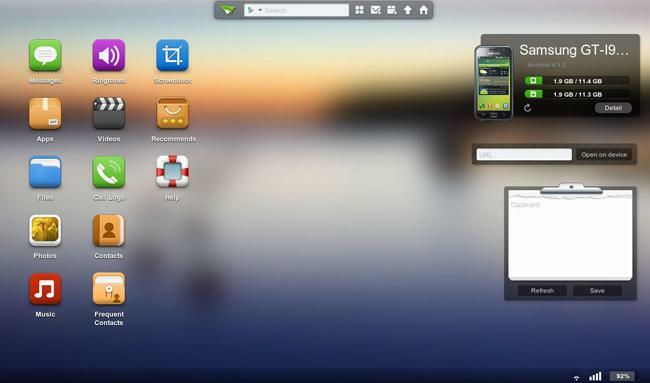 On your other device, direct your browser to web.airdroid.com, enter the code and you're in. The connection uses the secure https protocol, so it's safe to use even on public WiFi networks. 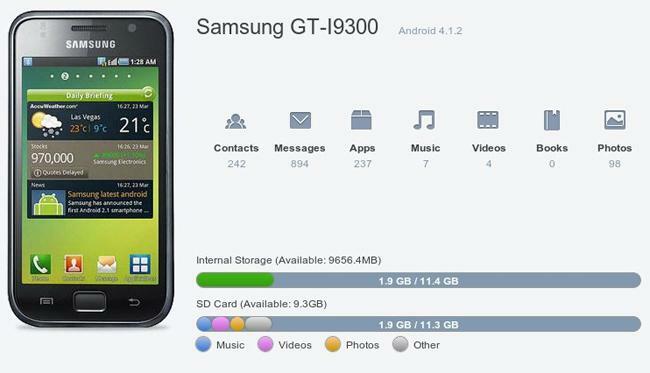 For me, the biggest plus is AirDroid's file management. You can drag and drop files between devices as well as cut, copy, paste, search, delete and rename them. You can also do virtually anything on your desktop that you can do on the device including send and receive text messages, manage contacts, update your apps, change ringtones and even stream music or videos. The desktop presentation is even better!